RJ Parker Publishing BLOG: Should Serial Killers be Allowed a Voice? Should Serial Killers be Allowed a Voice? This week, Blogger removed posts taken from serial killer Dennis Nilsen's autobiography that were deemed to be both sexually explicit and offensive. The Google-run site has always prided itself on allowing freedom of speech and being a platform of expression, but also claim to take steps to ensure the removal of prohibited content that breaches community guidelines. After receiving complaints about the Nilsen posts they were swiftly removed. The incident led to the brother of one of Nilsen's many victims declaring that Nilsen 'is a monster and should not be allowed to have a voice.' Which begs the question; should convicted killers like Nilsen be prohibited from writing about - and possibly profiting from - their experiences, which have brought terror and heartbreak to so many? Although Nilsen's autobiography, written inside prison in 1996, was vetoed from being published, many other criminals have indeed published their life stories, and the advent of the internet age with social media sharing sites and blogs gives extra avenues of expression. Of course this is nothing new, those who study the psychology of killers often find they have the need to share their experiences - going back to Jack the Ripper writing to the local paper in Victorian London - but given the furor caused by Nilsen's autobiography, is there a case for a blanket ban on today's killers publishing their stories? Readers who love crime and true crime books are many, and there has been no shortage of known violent criminals getting in -even cashing in - on the act, from the notorious London gangsters of the fifties, the Kray twins, to violent psychopath Charles Bronson. But where should society draw the line? Some have argued that criminals such as the Krays publishing their stories is more acceptable as their victims were generally members of the criminal underworld themselves who would perhaps have committed similar crimes, unlike the victims of serial killers and offenders such as Nilsen. Indeed one of the reasons that Nilsen's book was vetoed in the first place was the distress it would cause to victim's families. Yet others argue that this is unfairon the families of victims of killers such as Bronson. Is their distress any less acute because their loved one may have had unsavory acquaintances? Should we make a distinction between which violent criminals are allowed to publish their accounts and which are not? After all Nilsen's book was banned but Pee Wee Gaskins' 'Autobiography of a Serial Killer' was published in 1993, after he was dubbed 'one of the most evil men of all time.' The book was described as disturbing and sickening - much like the excerpts of Nilsen's story which were recently posted online. Why do killers often feel the need to share their stories? Whereas sometimes profit may undoubtedly be a factor - after the Kray autobiographies were bestsellers there was no shortage of their former colleagues rushing to sell their stories and publish their own books - there does seem to be a genuine desire on the part of many such killers to tell people about their crimes. Some argue that we are all entitled to express ourselves and indeed writing down our stories can be very therapeutic, but is the need to share this with the world due to the twisted ego impulses of the attention seeking, psychopathic killer, and should we as consumers really be encouraging this? Yet others would stress that even killers voices need to be heard, in order that we as a society can learn about them and learn from our mistakes in apprehending them. Many of us read true crime books to try and better understand the mind of a killer, but where the words are penned by the killer themselves, can they really be understood or even trusted? 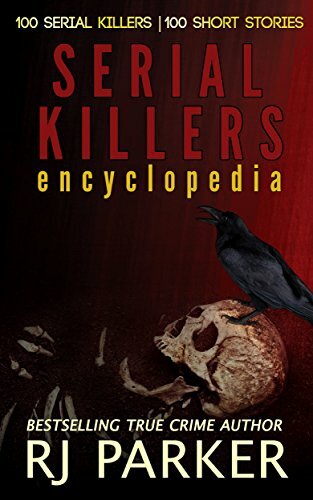 The 'reasons' given by serial killers for their action are rarely ones we can feel any empathy for, whether it be Nilsen blaming his later crimes on his grandfather, Gaskins describing how watching a cobra kill a rat at the age of four 'introduced him to killing', prolific serial killer Harold Shipman blaming his dependency on painkillers for his crimes against his patients or the stereotypical 'Jesus told me to do it'. Does any of this really help us understand why such people commit such crimes? After all the average person struggling with addictions to prescribed drugs, or experiencing problems with family members, does not go on to murder dozens of people. Another reason cited by murderers for their need to be heard may be, as in Nilsen's case, to confess their remorse. Ironically whereas his autobiography was banned in spite of his self-confessed regret, Gaskins' book is still available. The book in which he admits to feeling very little remorse whatsoever. However just because these criminally penned recollections may not have any particular merit is hardly reason to ban them - after all there are plenty of books on the shelves whose contents are fairly dubious. What we need to be asking ourselves is if our commitment to freedom of speech has gone too far when we allow notorious killers to publish their life stories, and if Google were indeed right to censor the posts, or does the right to tell our stories extend to us all, even the most evil?